RETURN POLICY: This product is in guaranteed working condition. If for some reason you are unhappy with your purchase notify us within 15 days after you receive the item.All returned items must be in their original condition and packaging.Unfortunately, we cannot take returns of products that have been (dis-)assembled or modified. 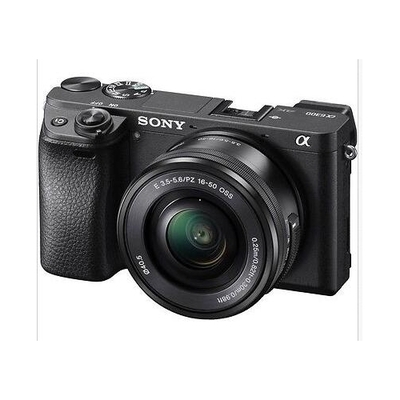 www.saleholy.com Product Information Expand your photography horizons with the Sony Alpha A6300 digital SLR camera. Delivering pro-level image quality, this camera helps you achieve razor-sharp details and stunning effects to make the most of your subject. Equipped with a 25 megapixels CMOS Sensor the camera is able to create pictures with a resolution of up to 6000 x 4000. The BIONZ X image processor ensures a high quality of your images. A big range of features and effects make photos look professional. Te ultra-detailed RAW output capability makes it very easy to balance exposure, saturation, and contrast for amazing pictures every time. If you want to capture moving images, this camera shoots videos in Full HD and with high frame rates for clear results. The camera also features built-in Wi-Fi for easy transfer and sharing of images as well as remote control via smartphone.